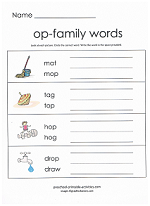 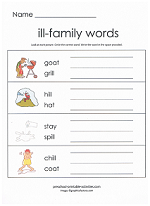 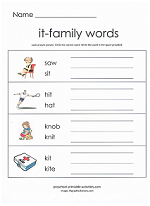 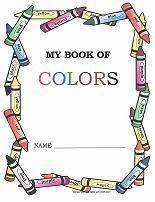 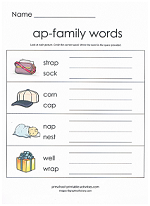 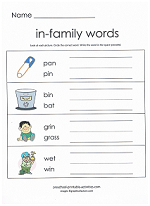 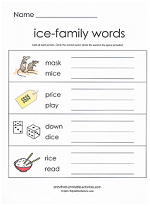 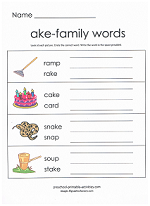 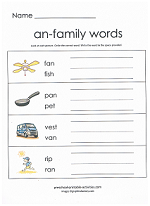 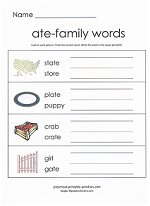 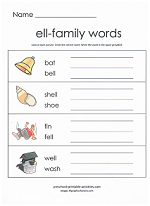 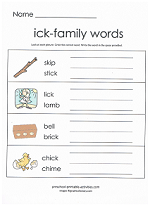 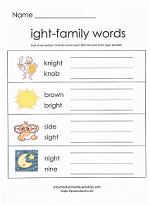 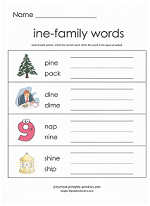 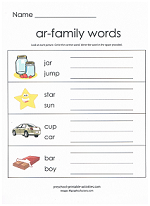 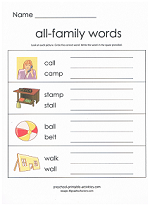 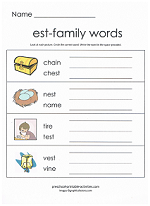 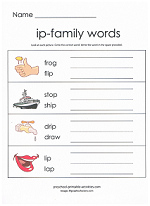 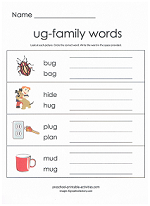 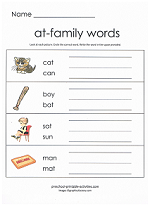 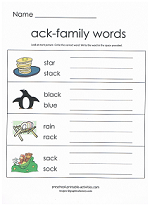 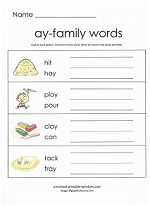 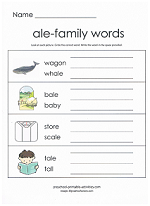 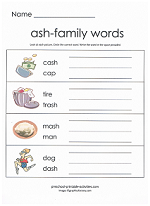 Use word family worksheets to help children understand word-families. 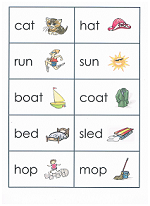 For example... once a child understands that the letters a and m form the sound am, it's much easier for them to understand that simply adding a letter or two will create a word. 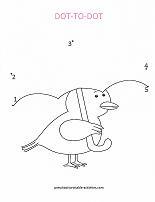 At that point they will be able to read ham, jam, swam, ram, etc. 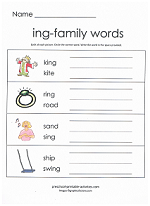 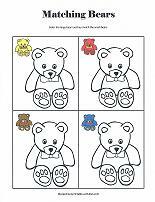 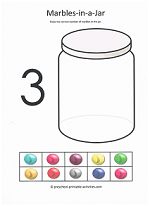 The worksheets below will ask the children to read both words in each section, then circle and write the word that describes the picture. 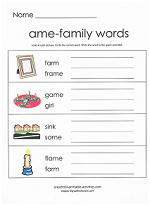 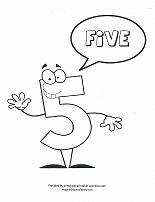 36 word-family worksheets to choose from! 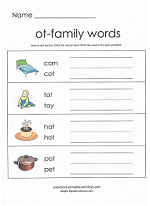 Pronouncing the words "out loud" will help the kids to hear the sounds each group of letters make. 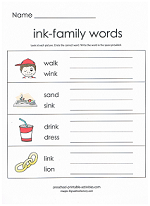 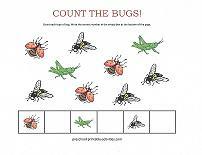 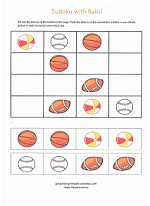 This worksheet also helps with writing skills. 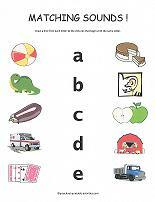 Here are more preschool printables for alphabet fun!